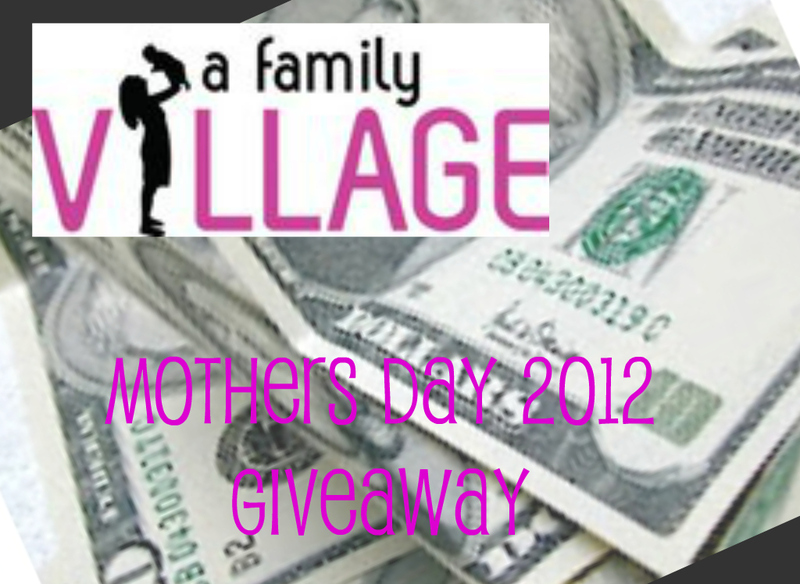 Here at With Just a Bit of Magic we are excited to collaborate with AFamilyVillage to celebrate YOU or your Mom. We have teamed up with our closest 26 friends to bring you a fun cash giveaway! One lucky winner will win $250 to be deposited directly into their PayPal account!! Awesome right? This giveaway is sponsored by 25 incredible businesses and blogs – and you will love getting the chance to check them out. To enter, you are REQUIRED to simply follow each of the steps using the Rafflecopter form below! Also, go check out the fabulous business owners and bloggers involved in this event. Giveaway starts 4/22 at 12:01 am EST and ends 5/13/12 at 12:01am EST. Good Luck! We Love our Readers, You deserve to win $250!